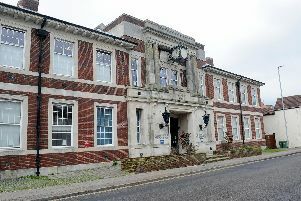 A DROP-IN event is set to take place to give the public a chance to provide feedback on plans for a former court. Homes England is preparing an outline planning application for up to 45 apartments to replace the former Magistrates Court in Trinity Street in Fareham. Draft plans illustrating the proposed layout and access points for the development will be available to look at as well as chance to ask questions to the team and give feedback. Homes England have permission to demolish the former court in the town centre that closed in September 2016. The brownfield site also forms part of Fareham Borough Council’s Local Draft Plan allocated for a capacity of 45 homes. The drop-in event is tomorrow from 12pm until 7pm at Ferneham Hall. For those unable to attend, comments can be submitted online at farehammagistratescourt.info from tomorrow.